Melanie S. Harned, Ph.D., ABPP, is a Psychologist and Coordinator of the DBT Program at the VA Puget Sound Health Care System and a Senior Research Scientist in the Department of Psychology at the University of Washington. 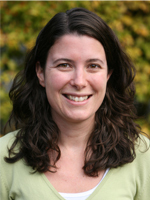 Dr. Harned has previously worked as the Research Director of Dr. Marsha Linehan’s Behavioral Research and Therapy Clinics at the University of Washington (2006-2018), Director of Research and Development for Behavioral Tech, LLC (2014-2017), and Director of Behavioral Tech Research, Inc. (2013-2016). Dr. Harned’s research focuses on the development and evaluation of a protocol to treat PTSD during DBT as well as methods of disseminating and implementing this and other evidence-based treatments into clinical practice. She regularly provides training and consultation nationally and internationally in DBT and DBT PE. She has published numerous articles and book chapters and is licensed as a psychologist in the state of Washington.